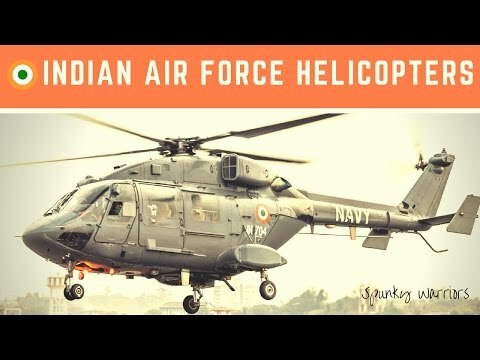 Watch Indian Air Force Helicopters Featuring Mi 35 , Mi 8 , Mi 17, Chetak, Cheetah , Dhruv and Mi 26 Like Us: https://www.facebook.com/pages/Spunky-Warriors/1591462191098832 Google+ : https://plus.google.com/114692205157757791451 The IAF's helicopter fleet has steadily increased in numbers over the past few years, blossoming from a handful of U.S. types in the 60s to over 500 French, Indian and Soviet built types. The pride of the force is, undoubtedly, the Mi-26 heavy lift helicopter which has been operated by No. 126 HU with outstanding results in the mountains of Northern India. 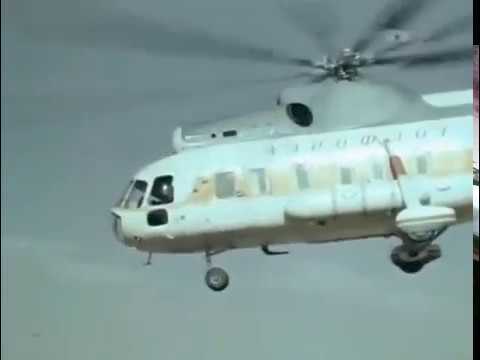 The bulk of rotorcraft are Medium Lift Helicopters (MI-17/MI-17IV/MI-17V5 and Mi-8s) well over two hundred of these types serving in helicopter units through out the country, playing a vital logistic support role. Induction of the latest machine, the Mi-17 V5, is a quantum jump in our Medium Heli-lift capability in terms of the avionics, weapon systems as well as its hot and high altitude performance. Medium Lift Helicopters of IAF are operated for commando assault tasks, ferrying supplies and personnel to remote mountain helipads, carrying out SAR (Search and Rescue Operations) and logistic support tasks in the island territories, Siachen Glacier, apart from armed role. The Chetak/Cheetah helicopter fleet has been the backbone in SAR, Casualty Evacuation and RTR (Route Transport Role) role in the IAF. To augment Cheetah helicopter operations in OP Meghdoot sectors, indigenously modified re-engined Cheetal have been inducted in the fleet. 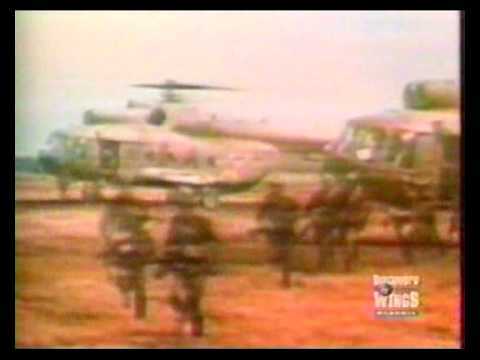 This indigenous helicopter has proved its worth and apart from reliability it has shown better load carrying capacity. Of late, India has taken a conscious decision to go the indigenous development way in so far as procurement of military hardware is concerned. 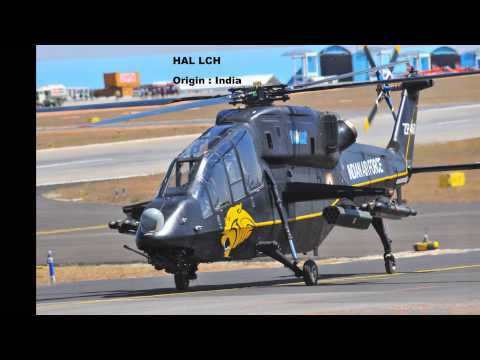 This can be best leveraged in the helicopter capability, as HAL has shown significant capability generation in the successful design and development of the ALH (Dhruv). ALH fleet in IAF has steadily grown from conventional ALH Mk-I to state of the art 'Glass' cockpit ALH Mk-III. ALH Mk-I has been effectively utilized for communication, SAR, Cas Evac roles. It is also the prime machine for Sarang Helicopter Display Team, which projects the capability of indigenous helicopter apart from skill, motivation and training of IAF pilots. ALH Mk-III has been recent induction which undertakes SAR, Cas Evac and RTR. The Weapon System Integrated version, the ALH Mark IV, is also likely to be inducted into the IAF by 2017. The first Attack Helicopter Squadron of IAF was raised as 125 (H) Sqn (GLADIATORS) on 01 Nov 1983 and equipped with Mi-25 helicopter Gunships. The Mi-35 was inducted in Apr 1990. 104 (H) Sqn was re-equipped with Mi-35 in 1990. The Attack Helicopter fleet of IAF has a rich history of participating in operations since its induction. The AH has been deployed in IPKF operation in Sri Lanka, under UN at Sierra Leone and Democratic Republic of Congo under Chapter 7 of UN for Peace Enforcement. The machine and men of Gunship Sqns have done Yomen service for Indian Air Force and provided Tactical Foot Print to the Air Power. The rotary wing capabilities of the IAF are poised to undergo a paradigm altering growth. Induction of the Chinook helicopter will be a boost to the nations heavy heli-lift capability. The planned induction of Apache Attack Helicopters is yet another instance of the shift in the technology and capability level of the rotary wing fleet by IAF. The prowess of our Helicopter operations have been demonstrated in Uttarakhand very recently, and with all these new capabilities and systems being added on, the IAF will be truly poised to take on any challenges. List: MI-25/MI-35 : Twin engine turboshaft, assault and anti armour helicopter capable of carrying 8 men assault squad with four barrel 12.7 mm rotary gun in nose barbette and upto 1500 Kg of external ordnance including Scorpion anti-tank missiles. It has a max cruise speed of 310 km/hr. MI-26 : Twin engine turboshaft, military heavy lift helicopter of Russian origin with carrying capacity of 70 combat equipped troops or 20,000 kg payload. It has a max speed of 295 km/hr. MI-17 V5 : The Mi-17 V5 is a potent helicopter platform, equipped with modern avionics and glass cockpit instrumentation. They are equipped with state-of-art navigational equipment, avionics, weather radar and are NVG-compatible. Chetak : Single engine turboshaft, light utility French helicopter with capacity of 6 passengers or 500 kg load. It has a max speed of 220 km/hr. Cheetah : Single engine turboshaft, FAC/casevac helicopter of French origin having capacity to carry 3 passengers or 100 kg external sling loads. It has max cruise speed of 121 km/hr and can climb to 1 km in 4 minutes. HAL Dhruv/Rudra - The HAL Dhruv/Rudra is a utility helicopter developed and manufactured by India's Hindustan Aeronautics Limited.